An Ultratech of exceptional beauty and unprecedented complexity. A stainless steel chassis inlaid on both sides with Ironwood. 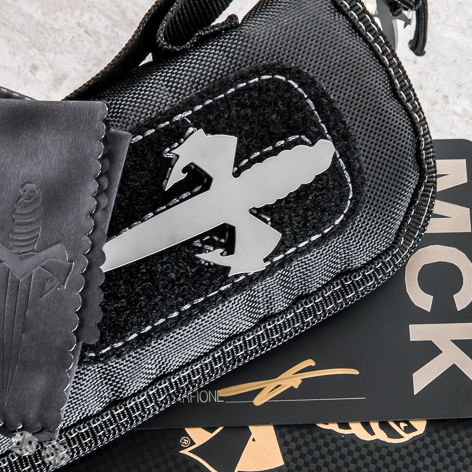 Also includes certificate of authenticity signed by Maker Anthony Marfione along with zip up case, Marfione Custom Knives box and cleaning cloth.